Amazon's Lord of the Rings Series: Everything We Know (Updated!) | Nerd Much? Last November, Amazon purchased TV rights to J. R. R. Tolkien’s The Lord of the Rings. While fans are trepidatious, the show will no doubt be a big one—whether it succeeds or fails to once again transport audiences to Middle-earth. What part of Tolkien’s massive collection of stories will Amazon’s Lord of the Rings series explore? Who will be the showrunner? Will Tom Bombadil get the thorough cinematic exploration he deserves? These are questions everyone is wondering. And with the recent rumors that the show will follow a young Aragorn in its first season, we finally have something to go on. 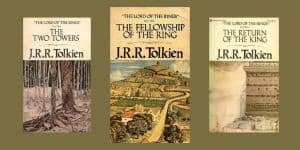 According to The Tolkien Society, The Lord of the Rings has sold 150 million copies, making it one of the best selling books (or series, depending on your perspective) of all time. 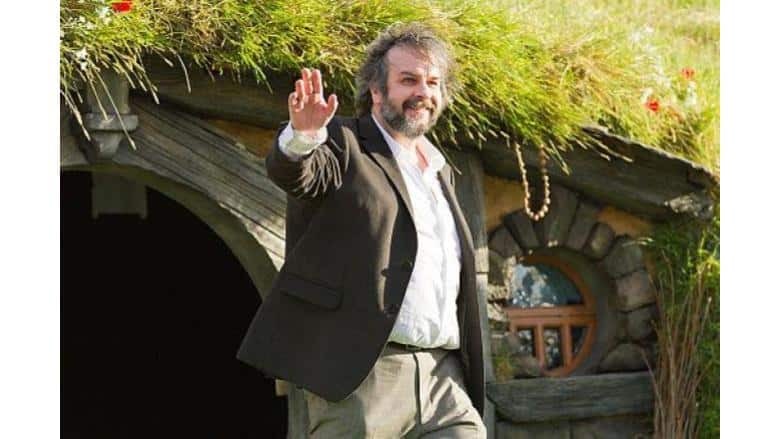 Peter Jackson’s movie adaptations have had a lasting impact on fantasy in film and helped to solidify the legacy of Tolkien’s work. Now, Amazon is taking another stab. 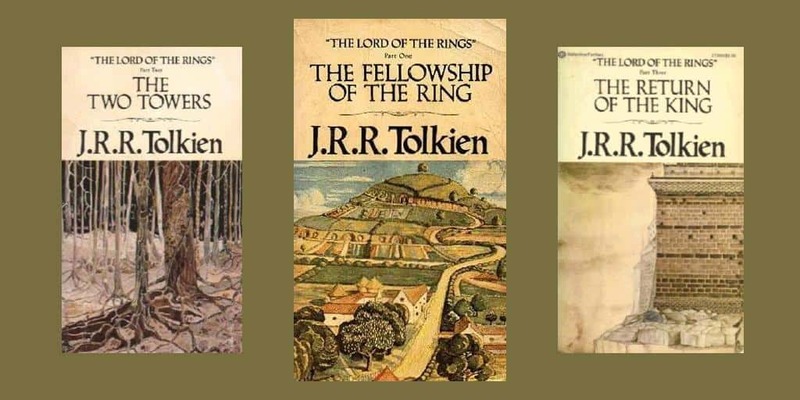 Tolkien’s classic fantasy epic recently made the top of our 50 Best Fantasy Books list for being one of fantasy literature’s most influential works. Like it or not, modern fantasy would not be the same without Bilbo and Frodo deciding to leave the Shire for their own grand adventures. The purchase was the result of a bidding war between Amazon and Netflix, with the cost totaling $250 million, according to The Hollywood Reporter. Amazon has purchased global television rights to The Lord of the Rings for a multi-season deal that includes the potential for spin-off series. The show will be available on Amazon’s streaming service, Amazon Prime Video, adding to their roster of high-budget shows like The Man in the High Castle and Sneaky Pete. According to The Hollywood Reporter, the show’s budget could be as high as $1 billion with all production costs factored in, making it the most expensive TV show of all time. By comparison, the budget of the film trilogy totaled $281 million (not adjusted for inflation), as reported by Box Office Mojo. New Line Cinema, known for producing the Lord of the Rings film trilogy, is partnering with Amazon for the new series—which can only be a good sign if you enjoyed the Oscar-winning movies. The Hollywood Reporter has also speculated that the series will be five seasons long. If the first season centers on Aragorn, there’s a good chance we will see other beloved characters take center stage in the seasons that follow. Amazon has two years (from the November acquisition) to begin production, and materials from the films may be used in the new series, according to The Hollywood Reporter. “Materials” could refer to a lot of things, but it does suggest that the series may have some connections to Peter Jackson’s vision of Middle-earth. We don’t yet know who will be producing, writing, or acting in Amazon’s Lord of the Rings series. However, we do have some hints. According to The Hollywood Reporter, Amazon has been in communication with Peter Jackson and his attorney, Peter Nelson, about Jackson’s possible involvement in the show. This means the show could go one of two ways: without Jackson, we’re likely to get something fresh and distinct from his vision of Middle-earth; with his involvement, however, the TV series could draw inspiration (and possibly actors) from his beloved films and exist in the world that Jackson has spent so many years developing. As of yet, we don’t know of any stars from the film trilogy who are joining the cast. Andy Serkis has expressed that he is not interested in being a part of the new show, as he told the Toronto Sun. If Aragorn is indeed the show’s star for its first season, there is no indication yet that Viggo Mortensen will reclaim his role. However, if Jackson got involved, who knows what faces might return to The Lord of the Rings. Jackson’s involvement in the project might mean his digital visual effects company, Weta Digital, could get involved as well. Weta is known for its work on The Lord of the Rings movies as well as Game of Thrones, more recently. With the new show’s budget, dazzling visual effects are expected, and Weta would be a natural pick if Jackson had a hand in the show. One notable actor who hopes to return to Middle-earth is Sir Ian McKellen, who discussed his desire to reclaim the role if Amazon reaches out to him. With Andy Serkis retiring from his iconic role, McKellen’s Gandalf would be a welcome return. As of yet, there has been no discussion of Howard Shore’s skills as a composer coming back to The Lord of the Rings. While it would be great to see some of the talent from the film series join the team for Amazon’s endeavor, it might be for the best if Amazon creates something fresh and distinct from the 17-year-old film trilogy. There are plenty of details that Jackson either missed or tweaked in his adaptations. With a new series set at a different point in time, Amazon has the chance to create a different Middle-earth, which may be closer to Tolkien’s works or something entirely new. What could this series explore? In short, a lot of places and things. Tolkien’s lore and worldbuilding run deep, and his Middle-earth works extend well beyond The Hobbit and The Lord of the Rings. Of the show’s setting and scope, Amazon said that “…the television adaptation will explore new storylines preceding J.R.R. Tolkien’s The Fellowship of the Ring.” That could refer to the 60-year period between The Lord of the Rings and The Hobbit—or it could go far deeper than that. If the first season does indeed follow a young Aragorn and his many aliases (Strider, Estel, Elessar), there is plenty to explore. In The Fellowship of the Ring, Aragorn is 87 years old. In the decades prior, Aragorn traveled to Harad, hunted down and questioned Gollum about the One Ring, fought in the armies of Rohan and Gondor, and met Gandalf the Grey. Any one of these adventures would be worth exploring, and perhaps many of them will be a part of show. Or, we might get a more focused account of a narrower period of Aragorn’s life. Five seasons is a lot of content, however. And while Aragorn’s character has plenty worth exploring, so does the rest of Middle-earth. Canonical interpretations. This is a must. With works like The Silmarillion and the recently published Beren and Lúthien, there is plenty to explore while staying within the bounds of Tolkien’s lore. The second age contains some events that would be fascinating to explore, such as the forging of the One Ring and the War of Elves and Sauron. And if Amazon has the faintest desire to please the fans, their Middle-earth will be as aligned with Tolkien’s written works as possible. New stories set in Middle-earth. On the other hand, the world of Middle-earth is vast enough (and old enough) that the show could conceivably create new stories not directly based on Tolkien’s writings. This could take any number of forms, but it would be difficult to pull off. This might also serve to alienate both newcomers and longtime fans. Or, it could lead to something wholly original and memorable that stands beside The Lord of the Rings rather than supplements it. Glimpses into Aragorn’s childhood. One of the most interesting parts of Aragorn’s story is his youth. From his father’s death to Aragorn’s disguised identity as the heir of Isildur to the training that made him a Ranger, Aragorn’s early years are the making of a hero and would be missed if the show passes over them. Forced romances. So there’s the romance of Aragorn and Arwen, which has a good chance of showing up. But love stories for the sake of love stories—especially ones involving characters we know and love—would be painful. Cameos from the films. Either cast the actors in their classic roles or keep them out of the show—cameos would be too distracting, and if the show flops, painful reminders of the films’ superiority. Stretching the storyline too thin. If the show stays within the bounds of Tolkien’s established lore, there’s a risk of dawdling and turning the meeting of Strider and Gandalf into an entire season. Liberties will need to be taken, and at a certain point, the show’s writers will need to forge ahead with new content rather than filling in bits of the canon. By the time the Amazon series premieres, the original film trilogy will be 20 years old. Maybe it will be able to escape the shadow of the movies’ achievements, or maybe it will emulate their epic style and stand as an addition to the cinematic world of The Lord of the Rings. Until then, fans will be holding their breath.